People who engage in moderate to vigorous physical activity may be able to significantly lower their risk of glaucoma, according to research presented today at AAO 2017, the 121st Annual Meeting of the American Academy of Ophthalmology. Researchers from the University of California, Los Angeles reported a 73 percent decline in the risk of developing the disease among the most physically active study participants, compared with those who were the least active. To examine the correlation between exercise intensity and glaucoma, the researchers looked at data from the National Health and Nutrition Examination Survey, a large study that has tracked the health and nutritional status of adults in the United States since the 1960s. They defined moderate to vigorous activity in terms of walking speed and the number of steps taken per minute as measured by a pedometer. Taking 7,000 steps a day, every day of the week is considered equivalent to 30 minutes a day of moderate-to-vigorous physical activity at least 5 days a week. The researchers found that for each 10-unit increase in walking speed and number of steps taken per minute, glaucoma risk decreased by 6 percent. 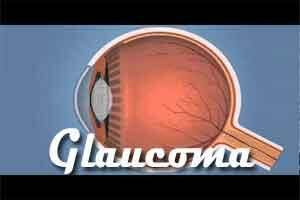 For each 10-minute increase in moderate-to-vigorous activity per week, glaucoma risk decreased 25 percent. “Our research suggests that it is not only the act of exercising that may be associated with decreased glaucoma risk, but that people who exercise with higher speed and more steps of walking or running may even further decrease their glaucoma risk compared to people who exercise at lower speeds with less steps,” said Victoria L. Tseng, M.D., Ph.D., of the University of California, Los Angeles. In the meantime, she advises exercise for her patients as a beneficial activity for all aspects of health, including the eyes.